On Tuesday, The New York Times published a bombshell investigative report alleging that the Trump family engaged in “outright fraud” and other schemes to dodge federal taxes over many years. Through these schemes, the Trump family may have avoided or evaded as much as $500 million of taxes on the transfer of wealth from President Donald Trump’s parents to him and his siblings. Donald Trump and his family dodged up to $500 million in federal taxes. The story details how, with Donald Trump’s active participation, the Trump family filed tax returns with absurdly low valuations of their properties in order to evade federal estate and gift taxes. The estate tax is a tax on large amounts of wealth that are transferred to heirs. The gift tax applies to transfers made during one’s lifetime and essentially serves as a backup to prevent people from avoiding the estate tax. During the late 1980s and 1990s—the period covered by the Times report—the estate and gift tax rates were 55 percent of the value of the amount transferred above a large exemption. Donald Trump’s parents, Fred and Mary, passed down substantially more than $1 billion of assets to Donald and his siblings according to the Times but paid only 5 percent of that in estate and gift tax because they claimed the assets were worth far less than their true value. Thus, through a combination of what appears to be blatantly illegal tax fraud and aggressive planning techniques, the Trumps dodged some $500 million of federal taxes. Below are three policy-related takeaways from the Times report. Honest Americans would not engage in the kinds of schemes that the Trumps pulled. Americans view paying taxes as an important civic duty. And most families couldn’t even avoid taxes if they tried. That is because most people who work for a living have income taxes, payroll taxes, and state taxes withheld from their paychecks automatically. The IRS (and state revenue authorities) know exactly how much their income is, since employers are required to report it to the government. It’s different for many extremely wealthy people, as they have myriad tax shelters at their disposal. The biggest tax shelter is, simply, the treatment of capital gains. For many of the super wealthy, massive wealth accumulation is never subject to income tax. Capital gains—the growth in the value of assets—are not taxed until they are realized, which means that wealthy people can defer taxes until they sell assets. If they never sell an asset during their lifetimes, the step-up in basis rule allows the gains to go entirely untaxed. Capital gains are also subject to preferential tax rates. When it comes to estate and gift taxes, the wealthy are entrusted to report the value of their own assets and have devised countless ways to slice and dice their assets to drive down the value they report to the IRS. As the Trump’s use of the sham company shows, wealthy people can use transactions between family members to shift income and assets from one family member to another to avoid taxation. The basic trick involved—either inflating or lowballing the price of something transferred between two related parties—is the main way that global corporations avoid taxes, too. In that context, it’s called transfer pricing. And instead of shifting income from one relative to another, they shift profits from a corporate affiliate in the United States to another located in a tax haven. In recent years, these profit shifting tactics cost the United States tens of billions of dollars in lost revenue annually. The recent tax law addresses some gaming opportunities but opens up others. On net, it reduces what U.S. corporations pay on their offshore profits over the long term. The decline of taxes on capital gains, large estates, and corporations has helped fuel the growth of wealth inequality in the United States, adding to the sense that the economy is rigged against working Americans. The policies of President Trump and the majority in Congress are designed to rig the economy further and enrich wealthy Americans, including those that aggressively avoid paying taxes. They do so in three ways: 1) By directly cutting their taxes 2) By failing to address loopholes and avoidance tactics 3) By draining the IRS of the resources needed to detect and punish tax cheating. 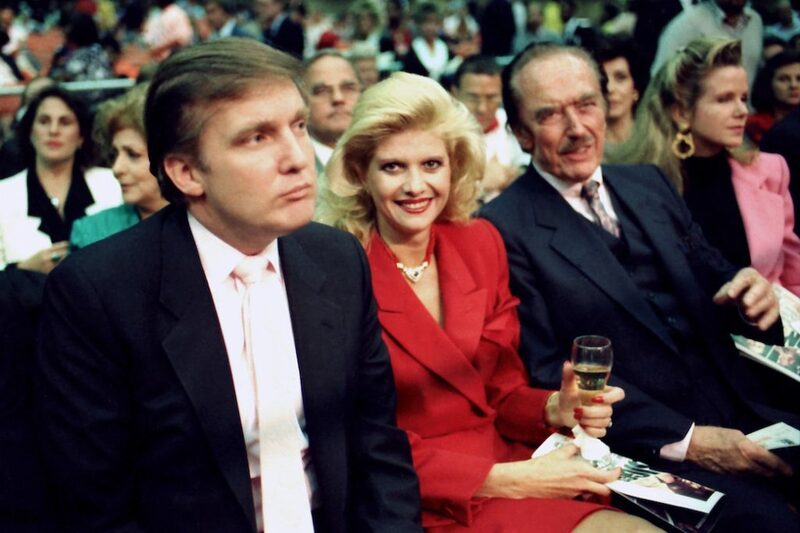 The Times report reveals how wealthy Americans, such as Fred Trump, were able to avoid paying estate taxes, mainly in the 1990s. During that time, the top estate tax rate was 55 percent, and applied to wealth exceeding an exemption level of $600,000 to $675,000. Since then, wealthy Americans have prevailed on Congress to cut the estate tax repeatedly. The new tax law signed by President Trump last December raises the estate tax exemption to $11.2 million, or $22.4 million for couples—double what it was in 2017. That amounts to a $4.5 million tax cut for the heirs of very wealthy estates. The estate tax cut was only one reason why the tax law was badly skewed to people at the top. For example, the law also created a special new deduction for owners of pass-through businesses such as the Trump Organization and other real estate empires. Sixty-one percent of the benefit from this new loophole goes to the richest 1 percent of Americans. Notably, the law also cut the corporate rate to 21 percent, potentially turning corporations into attractive tax shelters for owners of closely held businesses like the Trumps’ own. The Times article hints that Fred Trump may have minimized his income taxes by keeping profits in a corporate structure since, before 1986, the corporate tax rate was significantly lower than the top individual rate, as it is again today. Furthermore, though it was billed as tax reform, the new tax law also failed to address the loopholes in the estate tax that allow wealthy people to minimize the estate tax they pay. The Times details the Trumps’ use of a vehicle called a Grantor Retained Annuity Trust (GRAT) to ensure that the parents or their estates would not be subject to estate or gift taxes on any future accumulation of value. (The Trumps also drastically undervalued the value of those assets at the time they transferred them into the GRAT.) Though there have been many proposals to reform GRATs to curb abuse, the tax law did nothing to address them or any other estate tax avoidance technique. President Trump has also used his administrative authority to minimize taxes on wealthy estates. In 2016, the U.S. Department of the Treasury under President Barack Obama issued proposed regulations limiting the use of so-called valuation discounts—another strategy that the Trumps used, according to the Times report. (The Trumps discounted the value of their interests by a whopping 45 percent, whereas, as the Times story notes, valuation discounts of 20 to 30 percent are more common.) The Treasury’s proposed regulations would have limited the use of such stratagems. But last October, Trump administration’s Treasury Department withdrew the proposed rules, asserting that the compliance burden would have been excessive. Another theme that comes through clearly in the Times story is that the IRS was no match for the Trumps and their tax advisers. Audits clawed back only a small fraction of the giant sums that the Trumps avoided paying. And IRS enforcement has only weakened in the time since. Years of budget cuts that conservatives demanded since the House majority changed hands in 2011 have reduced the IRS’ enforcement personnel by about one-third, leading to fewer audits and criminal referrals. Congress should substantially boost IRS enforcement resources as part of broader efforts to crack down on corruption and white-collar crime. Honest American taxpayers deserve to know whether the President is a tax cheat. The pattern of fraud and avoidance detailed by the New York Times pertains to Fred Trump’s tax returns—but Donald was closely involved in the schemes, including as an executor of his father’s estate. The public is almost entirely in the dark about Donald Trump’s income taxes. But from what we do know, there are many indications that Trump is less than honest when it comes to taxes: a questionable $1 billion deduction; sketchy golf course deductions; unlawful self-dealing and political intervention by Trump’s tax-exempt foundation; schemes to dodge local sales taxes; and failure to collect taxes on TrumpStore.com internet sales. Since no one is above the law, the American people deserve to know whether the president has been following the law. Trump, of course, promised to release his tax returns publicly but has since reneged, hiding behind the excuse that he is under audit, though there is no reason whatsoever why an audit should prevent him from releasing his returns publicly. Even if he is under audit, that is arguably even more of a reason to release his returns. Richard Nixon started the precedent of presidents releasing their tax returns in order to instill confidence that the IRS was not showing favoritism to the person heading the executive branch. In Trump’s case, there is the additional imperative of ensuring that he is not compromised by financial conflicts of interest. Trump clearly will not voluntarily release his returns anytime soon. But the two congressional tax committees—the House Committee on Ways and Means and the Senate Committee on Finance—each have the power to obtain them from the IRS upon request. Unfortunately, they have not used their authority. As recently as three weeks ago, House Republicans blocked an attempt by Democratic Ways and Means Committee members to obtain Trump’s returns. Finally, there is the matter that Trump and his siblings may owe a nontrivial amount of money to the U.S. Treasury as well as to New York state. The statute of limitations on tax crimes has almost certainly passed, but there is no statute of limitations for civil tax fraud. Though it could be very difficult for the IRS to investigate and prove tax fraud two decades later, the enormous amounts of money involved may justify it. New York state has already announced it will investigate the issues raised in the Times article. (By one estimate, the Trumps would owe New York state more than $400 million in unpaid taxes, interest, and penalties.) That is money that the Trumps owe us, the American taxpayers. Beyond the revelations about the Trump family itself, the Times’ investigation sheds light on a rigged tax system and a culture of white-collar impunity. Hopefully, it will draw Congress’ attention to the need for a fairer tax system and stronger enforcement.